I am delighted as FINAT President to invite you to the 2018 FINAT Technical Seminar in Barcelona, from 7th until 9th March leading with the theme “Challenges in the label market”. With focussed content and expert speakers this two day event will provide the label community with relevant knowledge and tools to tackle the challenges of today and tomorrow. There will be a pre-conference networking event on 7th March along with a welcome dinner. The conference will start on the 8th March and include six keynote addresses and a trouble shooting workshop and two parallel sessions delivered by a range of expert speakers. The 2nd section of the conference will take place on the 9th March and include eight technical development sessions based around Inks and Decoration from key industry figures in technology and development. Which is why FINAT is aiming to build on the success of previous years to make this year’s technical conference the best ever and the premier meeting point for the label community. Every year, print converter and suppliers, big and small, bulk and niche, return to the event to learn and get inspiration. 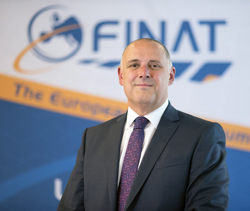 FINAT Technical seminars are here to help you to network and develop industry friendships, find products and services that you’re looking for, and inspire you to discover those that you don’t yet realise you need. Be inspired by the latest innovations, Expand your knowledge & keep up-to-date with the latest trends by attending. Attend the workshop and use visualisation and role play to focus on real challenges and solutions. Learn how to influence colleagues, supplier and clients – with studies provided to improve organisational efficiency, service and profitability by implementing new techniques. Gain an update from raw material suppliers sharing their in-depth knowledge of the solutions they provide with the supporting scientific evidence that substantiates the claims associated with their products and compliance required today. Get insight on how inks and decoration will influence the delivery of labels and packaging, how to get the most out of materials so as to meet specific consumer demands moving forward. Network and relax with your peer groups to share experiences and discuss best practices. Meet with relevant suppliers and listen to them sharing insights on innovative concepts throughout the conference and at our table top exhibition area. 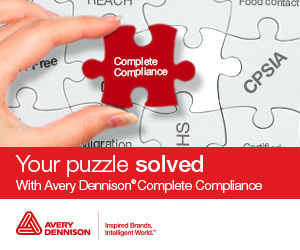 Obtain more information directly from those that know the product best: the supplier. I look forward to catching up with old friends and meeting new ones. See you in Barcelona in March!